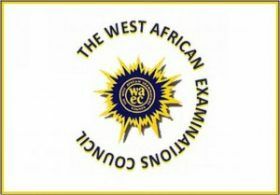 The West African Examination Council (WAEC) has published the Examination Time-Table for Jan/Feb 2018 1st series WASSCE, Private Candidates (WAEC GCE). It is one thing to get waec gce syllabus and timetable while it is another thing entirely to pass waec gce. Success in GCE Examination requires conscious process. I have listed the steps you must take to pass gce 2018 and you may click here to read it. 2018 WAEC GCE private exam would be done in Nigeria, Ghana, Gambia and Sierra Leone, so the timetable will be for candidates from the 4 participating West African countries. NOTE: The Official January/February GCE Syllabus will be updated here soon…. Keep checking back. 0 Response to "Waec Gce Timetable For January/February 2018 Examination Finally Out"